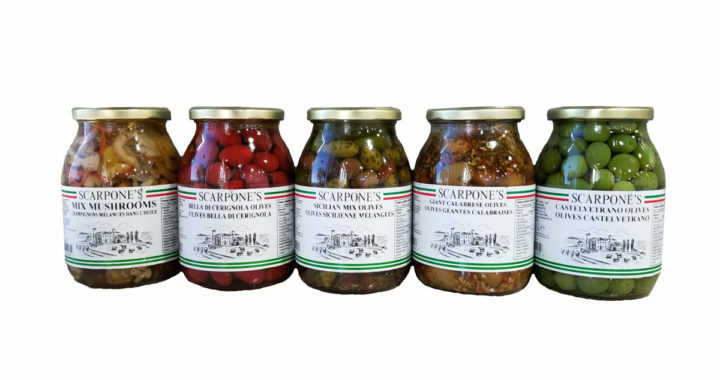 Carefully selecting and using only the best products available in Italy, we are now offering up to 50 items in our Scarpone’s Antipasti line. Shown above are 13 varieties of olives with more in the store. 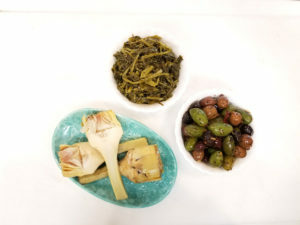 Our line includes several varieties of olives, capers, peppers, artichokes, mushrooms, cipollini, onions, an Italian favourite friarelli, plus more. All items are available retail in our store and wholesale through our warehouse. Call your sales rep to learn more. Posted in news and tagged artichokes, Friarelli, Olives, Scarpone's Antipasti, scarpones olives, Scarpones product, Scarpones wholesale products.